ConvertKit pricing starts at $29 for up to 1000 subscribers, and these plans go all the way up 900,000 subscribers for $2499 per month. There is no trial available. 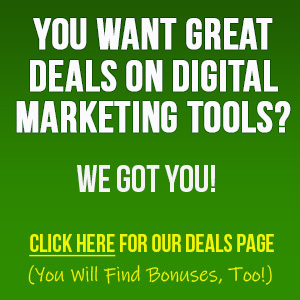 However, the service does come with a 30-day money back guarantee, so you can try it risk free for the first month. Also, you can request a demo if you want to get a better feel for how it works before you sign up. ConvertKit has a fairly powerful scheduler, as you can even choose to eliminate certain days. For example, if you don’t want automated emails to go out over a weekend, you just uncheck Saturday and Sunday. 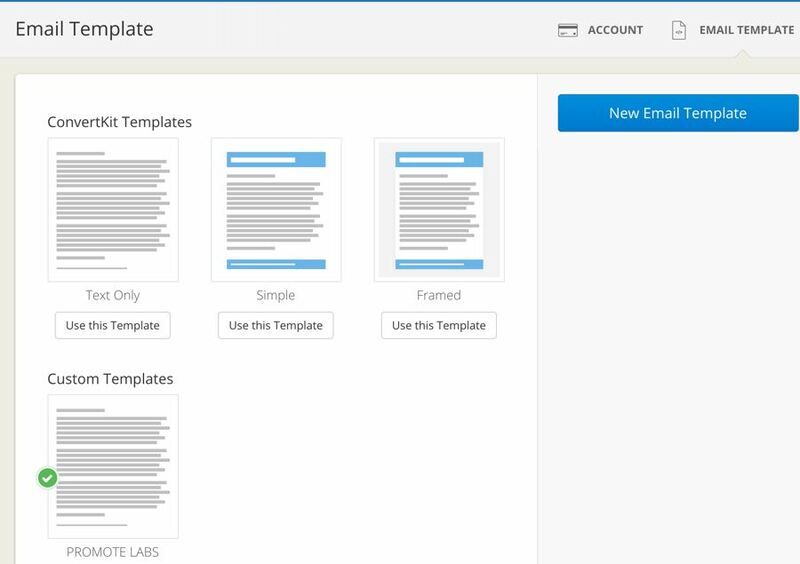 Newsletter templates: Yes, but very limited. You can choose between text emails, or sending simple “framed” emails. ConvertKit keeps these templates clean and simple on purpose, so that your emails will look great across platforms, including desktops, laptops, tablets and phones. You can also create and save your own custom HTML templates. 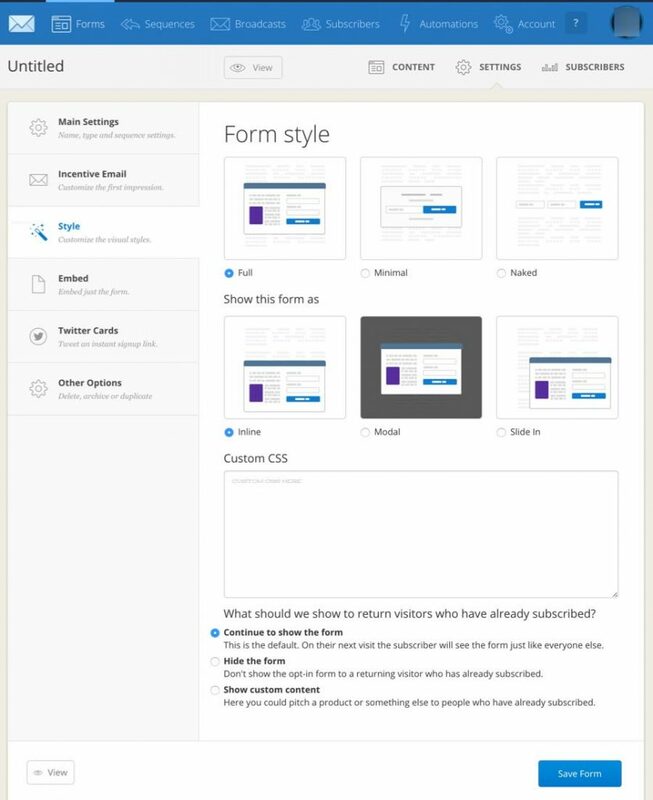 Sign up form templates: Yes, in a sense – as you can start building your sign-up form using one of their three different responsive form styles. Take note that while your sign up form is fully customizable, you will need to know a little HTML or CSS to make full use of these customizations. 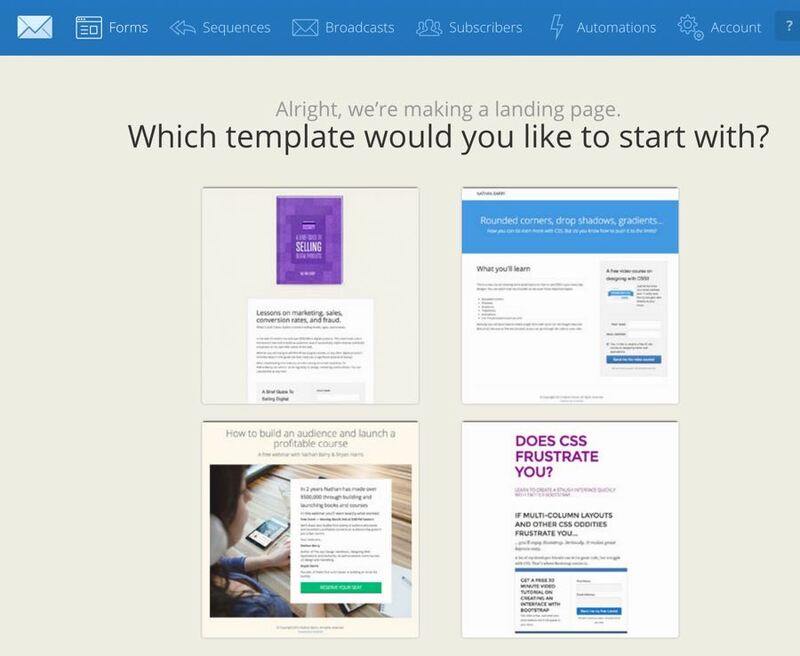 Landing page templates: Yes, you can start building your landing page using one of ConvertKit ’s four templates. Confirmation email sent regardless double opt-in or single opt-in: No confirmation email if you set your autoresponder to single opt-in. Added bonus: ConvertKit has a concierge service available to make transferring between services easier than ever. ConvertKit does their segmentation just a bit differently than some of the other autoresponders. Other service providers tend to be list-centric. This means that they focus on the lists, so they look at subscribers on multiple lists as being multiple people. ConvertKit is subscriber-centric. That means they are well aware that even if the same person is on multiple lists, they are still just one person. And that’s why ConvertKit segments by adding information to a subscriber’s profile. 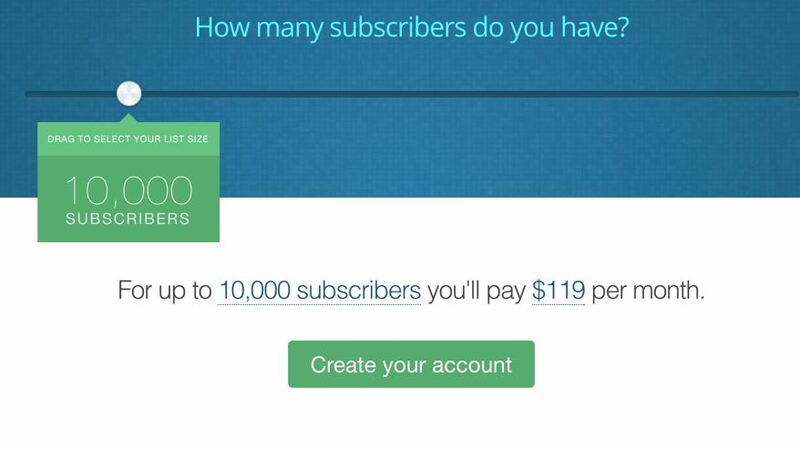 One advantage of this focus is that you don’t get charged multiple times for the same subscriber. 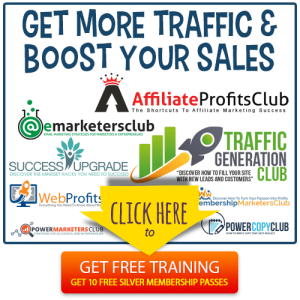 Another advantage is that it allows you to engage in smarter segmenting. It does take a little longer to learn and set up on the front end (especially if you’re used to the way other platforms work for segmenting), but it’s a powerful way to segment. 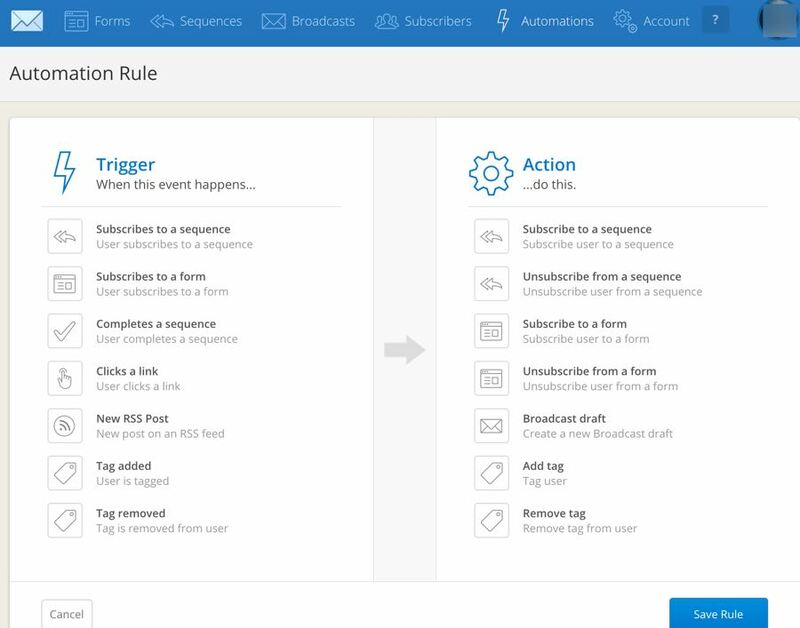 ConvertKit automation is fairly powerful, as it allows you to set up sequences based on triggers and actions. For example, when users finish one email course, this can trigger them starting another email course. Or if they click a link, then that triggers an action such as receiving an email or getting tagged. As mentioned above, tagging is the primary way to segment your lists on ConvertKit . 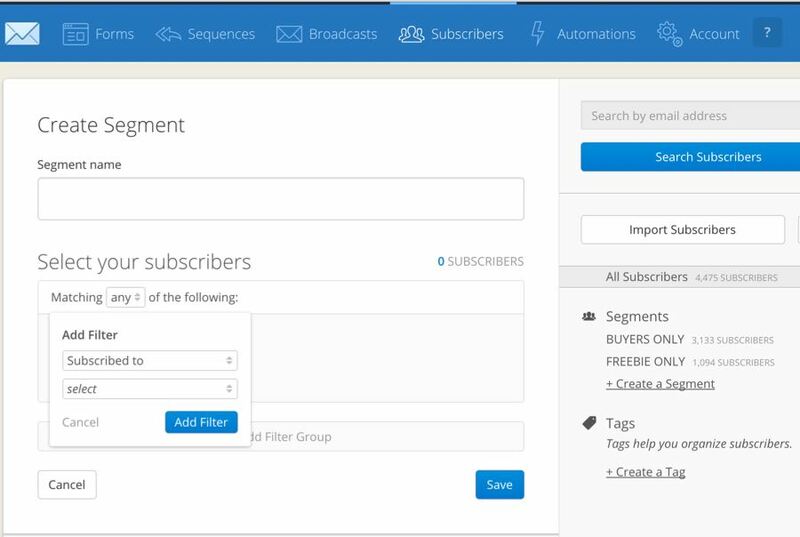 And when you combine tagging with ConvertKit ’s automation, you can do a lot of your segmenting on autopilot. While ConvertKit doesn’t have built-in split-testing, there are ways to do a workaround. For example, you can randomly split your subscribers into two groups, and then assign two different tags to these groups. Then create the two emails you want to test, and send them to your randomly split groups. Then use some measure (such as link clicks or conversions) to compare responses. It’s not as smooth as other email service providers, but it gets the job done for simple testing. 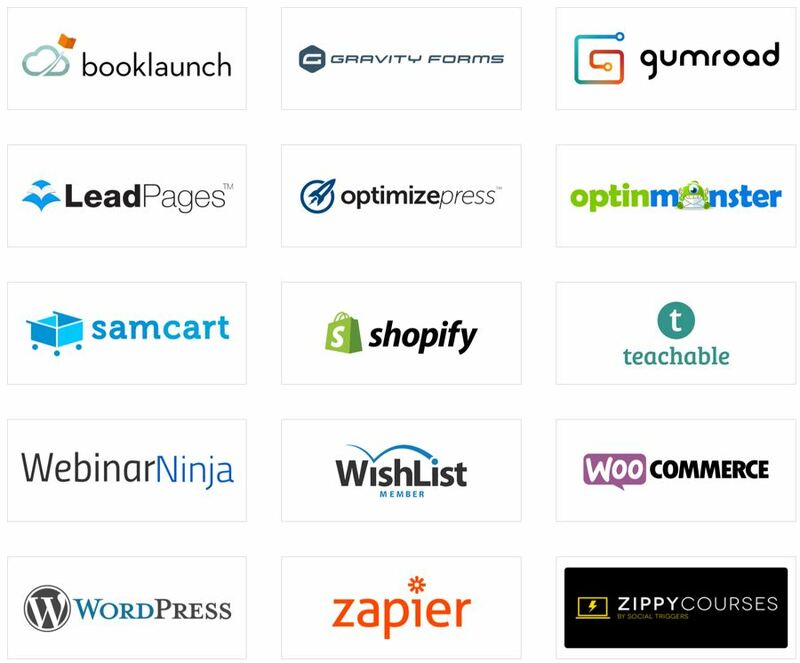 ConvertKit integrates with some of the most popular third-party apps, such as Shopify and Zapier. However, it only integrates with 15 apps total – so if you have a specific app in mind, be sure to check if ConvertKit integrates with it. While even a beginner can jump in pretty fast and get things done, placement of some items is a little awkward and not very intuitive. For example, the email template section is located under “Account,” and the integrations are located in the “Automations” section. Another problem is that some tasks, such as editing and deleting a form, require multiple steps or scrolling. If you’ve used other platforms before, you may notice that some tasks are a bit more cumbersome. On the other hand, some tasks are really easy to do – even better than on other platforms. 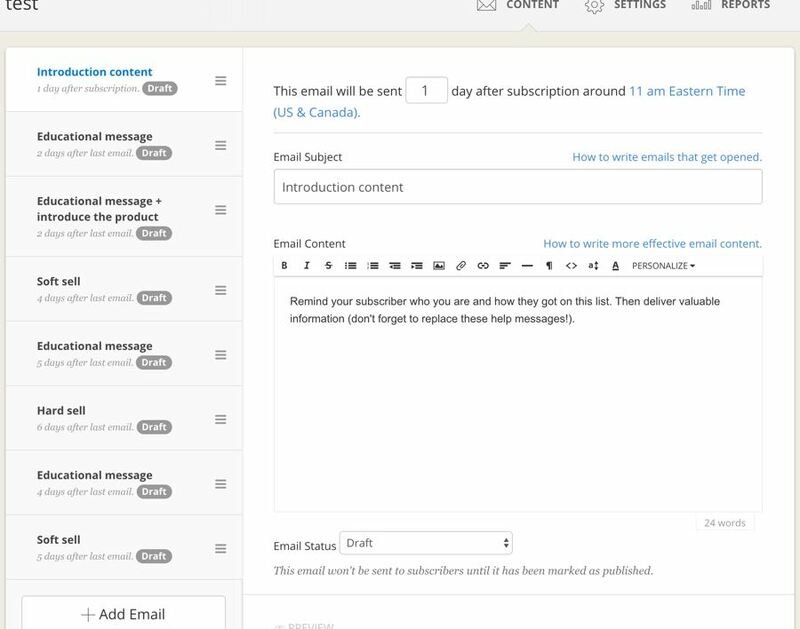 For example, creating a series of email sequences is quick and easy to do. It’s also laid out nicely, so you can see your entire sequence at a glance. ConvertKit has been instant live chat available, as well as support through the help desk. If you go through the help desk, you can usually receive help within about 24 hours. We’ve had good experiences with getting our emails delivered to their intended recipients. While ConvertKitdoesn’t specifically note their deliverability rate, they do have a full-time staff member whose sole job is to improve deliverability through ISP relationships, blacklist monitoring, bounce management, and more. ConvertKit was built for bloggers and authors. 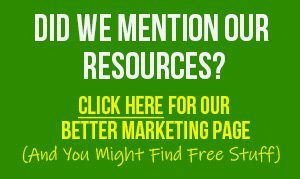 All of their features – from opt-in forms to tagging – are built specifically for these two groups. Includes essential features with a modern, clean interface. Includes a time-saving email-sequence function. We started using ConvertKit in the past year and we’ve been impressed with their deliverability and open rates, (highest open and click thru rates we’ve seen across all 3 that we use). 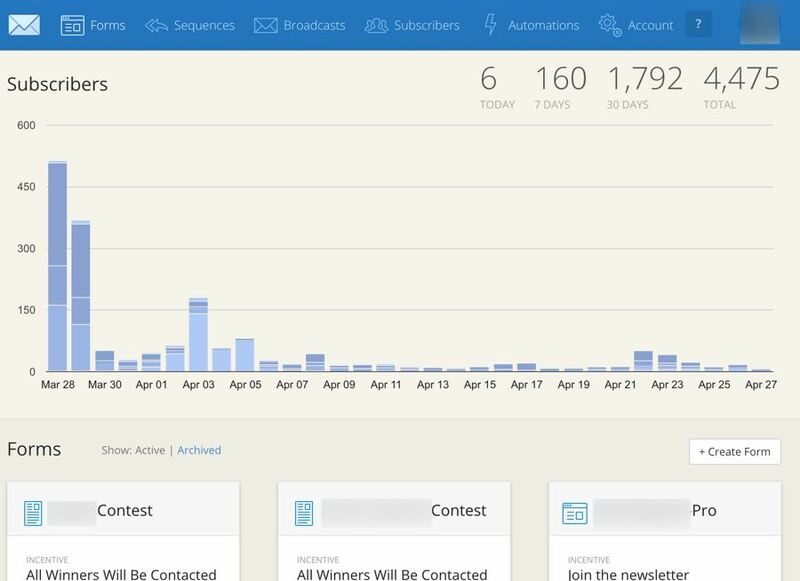 See how ConvertKit stacks up against other email automation services we’ve fully tested and reviewed in our “Top 5 Email Marketing Software Compared & Reviewed” blog post.